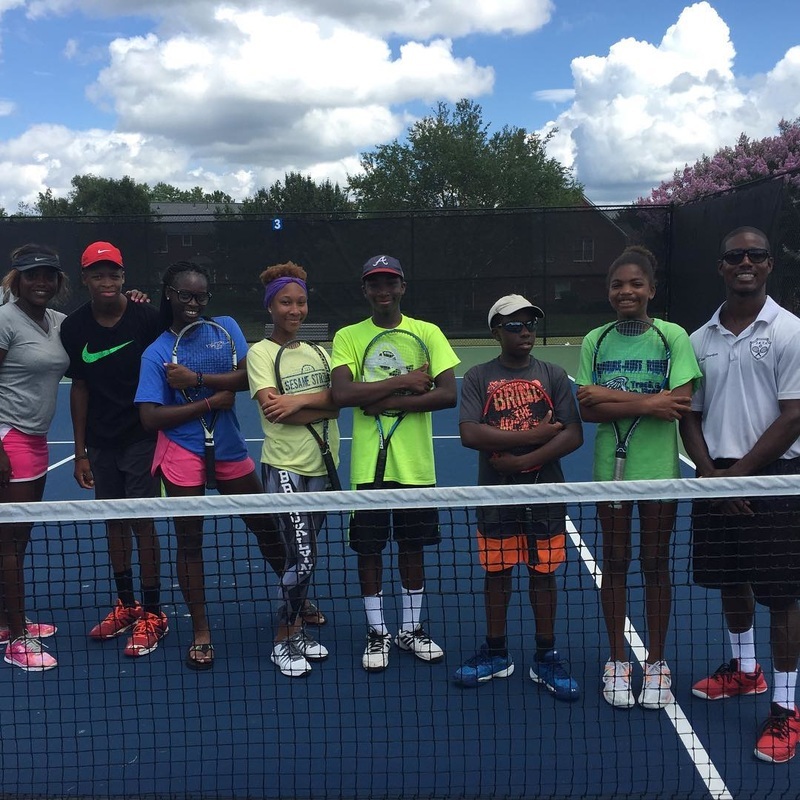 To improve and promote the lifelong emotional and physical health of underserved and low-income children in Atlanta, Georgia through tennis. We strive to use tennis as a vehicle to keep children off the streets during out-of-school time, in a safe environment that they can trust; to engage them in athletic activities that teach discipline, build confidence, develop patience, and encourage healthy lifestyle. We help children to apply the positive attributes of sportsmanship and discipline to develop meaningful values and life skills that will guide them to make positive choices in their daily lives, and transfer those talents and skills learned on the tennis court to overcome challenges to success in life. "To improve and promote the lifelong emotional and physical health of underserved and low-income children in Atlanta, Georgia through tennis." ​"Coach Robinson coached me for 4 years. During that period of time I injured my knee and had to have surgery. Even though I faced much adversity through those years, Coach still was able to help me achieve a scholarship at Tuskegee University!" At R.S.T.A we understand that tennis is important but it’s not the most important thing we do in life. To be the most successful tennis player that you can be, we feel like organization and balance in all areas of your life is essential. 1. Family. Without family, you wouldn’t be here! Simple enough! Treat your family with respect, always! 2. School. School is your short-term and long-term future. Lets face it, in college tennis, if you’re not passing…you’re not playing! 3. Tennis. Tennis is a bonus. It’s a privilege. Without school and family, there is no tennis. Tennis practice should be like recess. Time to forget about school, and other issues and relax, work hard, and have fun! Let us handle this part!